Diamond H2O’s specialty systems are diversified in treating water conditions that are more challenging than some of the more common water quality issues. The systems here are Diamond H2O’s engineered solutions to a few specified applications that demand some specialized attention. These systems might be just the right fit for your water quality, depending on your region. There are currently three Rustmaster™ systems certified to remove iron and hardness. These systems are the Freedom RM, Reliant RM, and Patriot RM. The Rustamster™ systems utilize a highly durable resin that can extent the life of your softener for years. These systems are highly resistant to iron fouling which makes them a great alternative to remove ferrous iron. Tannins are typically found in shallow wells, swampy or marshy areas and coastal areas. They are the result of nature’s fermentation process as water passes through the ground in peaty areas, or through decaying vegetation. Yellow staining on laundry, toilet fixtures and yellow colored water are a result of tannins. 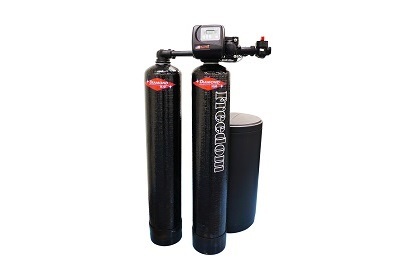 The Diamond H2O Tannin Removal System is designed to remove tannins and iron. 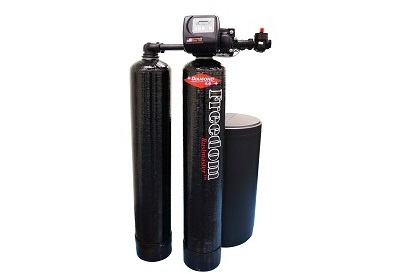 This system will provide 24 hours of continuous soft water, tannin, and ferrous iron free water. It is also currently the only POE system in the state approved to remove tannins. High alkalinity equals issues for boilers and cooling systems. In boilers, carbonate and bicarbonate alkalinities are broken down when heated and release carbon dioxide into the steam. The carbon dioxide and steam combined forms carbonic acid, which lowers the pH value of the water. 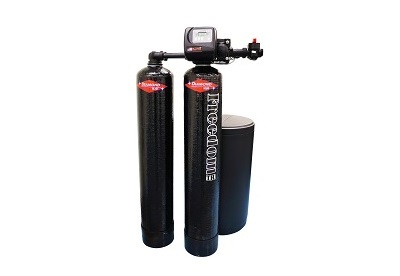 The acidic water can also corrode your equipment and plumbing. In cooling systems, the amount of acid needed to treat the water is drastically reduced when applying a dealkalizer. Diamond H2O’s team of experts can help where there is a need for this equipment, so don’t hesitate to call and talk to one of our specialists. 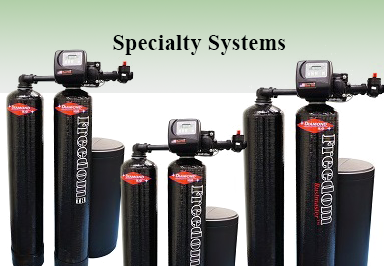 We will engineer a system that supports your water quality needs.